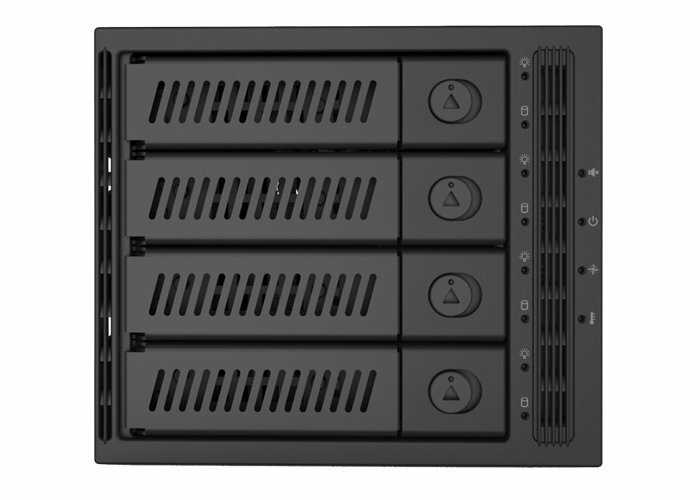 This SAS / SATA Backplane as well as the detachable bays, are all exclusively designed and made of SECC Steel that they are especially suited to keeping the HDDs/SSDs cool. The Backplane is Plug & Play compatible and supports hot swap. With an 80mm fan, even the fastest HDDs/SSDs are kept cool. The operating status of each HDD/SSD as well as the power and the activity of the fans are shown in the front of the Backplane by LED's.